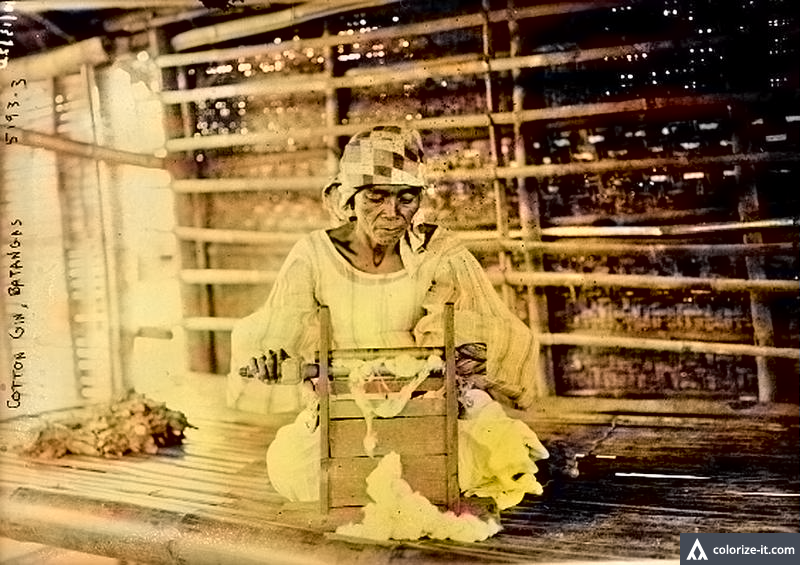 A picture of a woman in Batangas using a cotton gin, taken c. 1915-20. Image source: United States Library of Congress. The photograph above, entitled “Cotton gin, Batangas” has been downloaded from the United States Library of Congress. It shows a woman using a manual cotton gin, which is a machine that is used to separate cotton – or, at least, the strands which are then used for weaving – from the seeds. 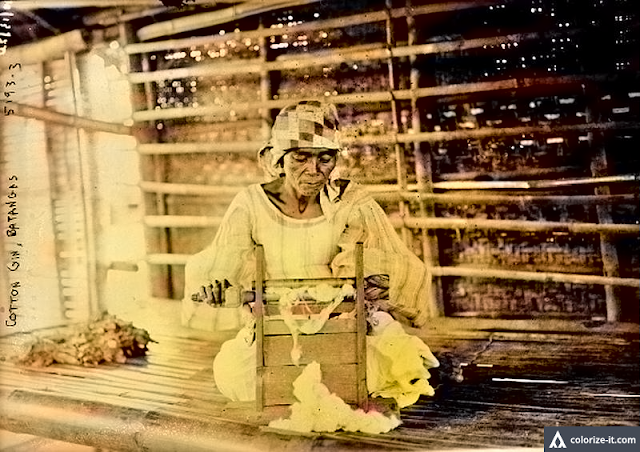 The picture was estimated to have been taken between 1915 and 1920 in Batangas. It is part of the Library of Congress’ Bain Collection of photographs. There are no known restrictions to the use and publication of the picture, says the Library of Congress. In other words, it is in the public domain. The picture above has been enhanced from the original using graphic software to improve image quality and colorized courtesy of Algorithmia.